REVIEWS - READ WHAT OUR CLIENTS SAY! 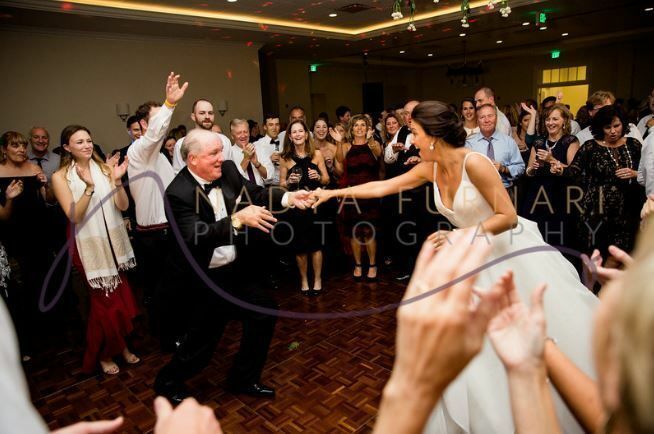 One of the top priorities for my wife and I was to have a band at our wedding reception and we could not be happier with our decision to go with Platinum Band Music! They were incredible! From Sinatra to Bruno Mars and everything in between, they nailed it. Dance floor was packed and we still have people telling us how great the band was. In addition to the great performance, they were extremely easy to work with. Angelynn was very responsive and professional which made the entire process stress free. I really can’t say enough about this crew. If you’re looking for a wedding band look no further. INCREDIBLE band. I was blown away by their sound. The musicians can play anything and the singers are unbelievably talented, each bringing something unique to the table. 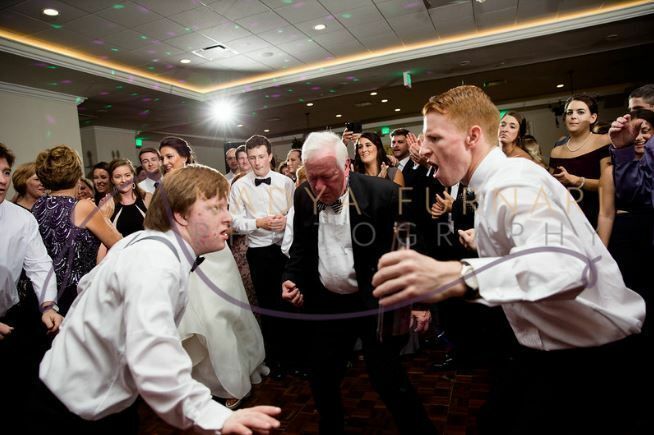 The dance floor at our wedding was rocking all night long with people of all ages. 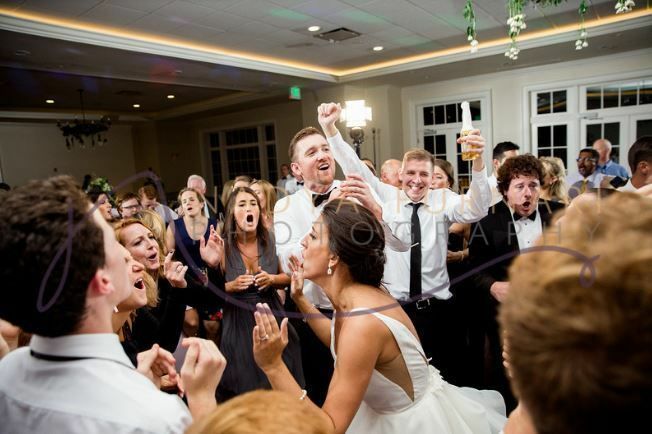 I have never been to a wedding where the band consistently had the crowd rocking the way it did on our wedding night. I cannot wait to experience them at another event in the future. Platinum Band rocked the party! This is the FOURTH time we have been at a wedding with them...we booked Platinum the day we booked our venue. We couldn’t recommend PBM more. They were SO easy to work with, asked the right questions, were available to answer any questions, and put together a GREAT song list based off our must-haves and do-not-play list. 5 STARS! My husband and I were lucky enough to have Platinum Band Music play our recent June wedding, and I must say - other than the Bride and Groom (of course family will tell us we were their favorite part) - the band got unbelievable reviews from all of our family and friends. They are true musicians - able to play for hours on end, and they have the unique ability to read the crowd- something that came in handy with our mixed group of wedding guests. I cannot say enough praises for this incredible group of musicians - the songs they focused on (father/daughter, first dance with my husband) were absolutely incredible - I swear, Elton John showed up to sing ‘Tiny Dancer’ and Van Morrison was there too when he sang ‘Into the Mystic’ - we couldn’t have been any luckier, and I would recommend this group to ANYONE. I must also add that they put on an incredible ceremony (string quartet), and Cocktail Party (jazz trio) so be sure to ask them about those services as well. You blew us away! Cheers! Thank you for a FANTASTIC wedding reception!!!! You were amazing in everyway...calm, flexible, & professional. You read the crowd perfectly and you saw the results...everyone had a blast and DANCED all night. Loved your shout out to Chris & our Mother-Daughter Dance. You didn’t miss any of our “Must Plays” or requests. Here’s a copy of the review I posted on both Wedding Wire and The Knot on Monday. Please lmk if they didn’t post correctly. Please put anyone in touch with me directly via email if someone would like an independent recommendation. My husband and I have attended more than 25 weddings in recent years. We both agree that the difference between a good wedding reception and a great one is the quality of the band. So when we started planning our daughter’s wedding a year ago, we placed a high priority on choosing the right band. We chose Platinum Band Music for our daughter’s wedding and PBM far exceeded our expectations. We had over 220 guests and at least 90% of them found their way to the dance floor. We asked PBM to play without any breaks once the toasts and dinner were completed and for well over 2 hours, the entire dance floor was jam packed. They played all the songs we requested and more, read the crowd perfectly, mixed in a few slower songs at the appropriate time, which kept the party going strong the entire evening. Angel was terrific to work with planning the playlist and being flexible about all our specific requests. Most of our guests went out of their way to tell us how much they loved the band and that it was one of the best wedding celebrations they had ever attended. Without reservation, we highly recommend PBM for your event. Wow! Platinum Band is truly incredible and insanely talented! When we heard them perform for the first time, we instantly booked them! They completely blew us away! Our wedding was so much fun and we have Platinum Band to thank for that! They played a fun variety songs and every single person at the wedding was dancing! They sounded just like the original artists, if not better! Our guests were so impressed, two of our couple friends have already booked them for their weddings! We also booked a guitarist for our ceremony who was amazing! Platinum Band made our wedding extra special. Leading up to the day, Angelynn was very responsive and helpful in planning the logistics of the reception and ceremony. She was a pleasure to work with. I highly recommend you book Platinum Band, I PROMISE you won’t regret it! We used the 10 piece platinum soul band for our wedding this past May and we couldn’t be happier with the amazing job they did!! At first my husband did not want to go with a band due to our budget, but after seeing them perform at a showcase we were sold immediately. The Platinum Band is reasonably priced, very professional, friendly, and upbeat. We absolutely would have paid more then what they charge, we think they are under priced for the NJ/NY market. Their set lists ranges from 60’s and 70’s rock, to Motown, to newer hits. They will work with you to learn any song requests you have before the event. All three of our staged dances (father-daughter, first dance, and mother son dance) were not on their set list they gave us but they learned them and played them beautifully for the reception. Angel keeps the party going, perfectly spacing out the dances throughout the evening and keeping the reception on track. At one point there were so many people on the dance floor that our guests had to move some of the tables out of the way to fit everyone! They kept the party going all night. We will absolutely be using them and recommending them for every event where music is needed in the future. “Amazing!!! Wow our guests had so much fun! So many compliments, our guests were/still are raving! Angelynn and her team really pulled it together, they read the crowd spot on! We gave them a little bit of a task with our wedding song but Steve really pulled it off, it was amazing! Highly, highly recommend! “We can’t thank you enough for helping to make our wedding celebration unforgettable! All of our friends and family are still talking about how amazing you were and how much fun they had. We knew you were good, but you blew us away! The wedding reception would have been so boring without you : ). We are so honored and grateful to have the memory you helped create. Thank you. Everyone was amazing; we’re pretty sure the dance floor was always crowed, which we wanted. We know we pushed that second encore, but the memory of you singing Wagon Wheel, and all the other songs for that matter, will be cherished for years. You made our wedding fun and extra memorable. We will be talking you up for years and we hope we get to hire you again in the future. 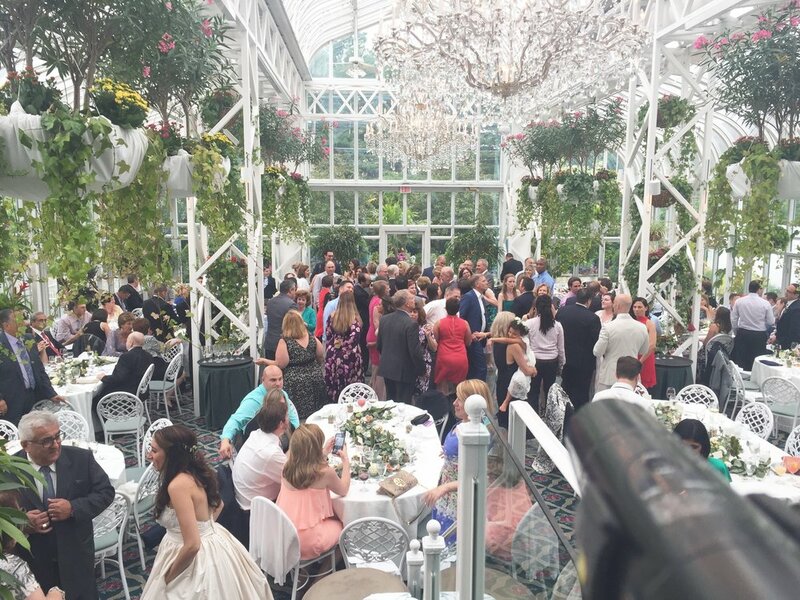 “Our daughter’s wedding was an afternoon affair in an arboretum and our main concern was that guests would not loosen up to dance in the bright daylight. We could not have been more inaccurate! The band made our wedding memorable! The dance floor was full the entire time except when the main meal was served. All of the guests commented about the range of music they played. From Justin Timberlake to Sinatra to touching bride/groom and father/daughter acoustic numbers.... all were perfectly executed. My daughter forwarded them a rendition of her first dance song and they surpassed it! Angelynn is their manager and she is sweet, easy to communicate with and masters her profession. We highly recommend platinum and will use them again for our next daughter’s wedding. “Our wedding was two days ago, and although I don’t leave reviews often, I couldn’t wait to write this more than well deserved one. From the start, Angel and the rest of the band were the epitome of professionals. Never having planned a wedding, I had no idea what I was doing, and Angel walked me through every step of the process. She diligently followed up and communicated well from the very start of our wedding planning process, through our wedding day. She was easy to get in touch with, and was patient with my (many) questions. We liked that we were guided through making personalized choices and the end result was a soundtrack for our wedding day that was more perfect and true to us than I could ever have imagined. One worry I had was that because our wedding was during the day (12-5) people wouldn’t dance. Angel and the guys read our crowd and dance floor was completely full the entire time. Planning a wedding involves so many different details to research, plan, and oversee. It was so nice to be able to let go, and trust Angel with such an important aspect of what makes a wedding memorable - the music. At times, I forgot a band was playing. Sinatra songs sounded like he was singing himself, and the same goes for Coldplay, Springstein, and the list goes on. After the party was over, not a few, but multiple people told us they were the best wedding band they had EVER heard. One important word of advice if you are considering this band. If you are watching their videos on youtube (because who doesn’t want to hear what their prospective wedding band sounds like)- they are 10x better live. We thought they sounded okay/good in the videos but weren’t necessarily blown away. From the first song they played at our wedding we were absolutely blown away. They nailed every. single. song. Huge huge thanks to Angel and the guys. They were everything and more we could have wanted from a band at our wedding. You will not be disappointed that you trust them with yours as well. “On a whim and sort of by accident I came across Platinum in a bridal magazine. I know what you’re going to say — you found your vendors in a bridal magazine?? Typically no, but after not finding what I was looking for in a band elsewhere, I decided to research them. After finding them on Youtube, my fiance and I quickly said “these guys are amazing” as they were the perfect blend of our scattered and sometimes contradictory music tastes (any couple with an age gap will know what I mean!) They invited us to a showcase and we looked forward to finding out if their live sound was as good as their recorded sound. WAS IT EVER?! We sent in our deposit that same night. When it came to selecting our music (we used Platinum for our ceremony music, cocktail hour and reception), Angel was patient, helpful and knowledgable. There is literally no song they don’t know! They MADE our wedding and even though we chose 11 of them — you can genuinely tell how well run the band is, and how insanely talented each and every one of them are. They had our crowd (ages 20-85) up and dancing the entire night and while everyone compliments your wedding, the compliments on our band have literally not stopped coming in. We wish they played gigs so we can hear them more regularly but instead, we’ll just have to keep referring them so maybe a friend uses them in the future!! Thank you so much for making our wedding AMAZING. If you are even thinking of a DJ — don’t! If you are thinking of another band — don’t!! These guys can play ANYTHING variety-wise, decade wise, and they can jump around without making it seem like it. 10 stars! “I seriously cannot thank you enough for everything! You guys were so amazing! I still can’t believe how gorgeous my first dance sounded! The duet was stunning. My dad will not stop talking about Kung fu Fighting! Even Pour Some Sugar on Me, Cruisin and Power of Love! I can’t get over it! It was a legit dream that you guys played those songs!! They absolutely rocked! And thank you a million times over for letting me sing with your band. That was a priceless moment and you guys made it happen. It was gorgeous. Thank you so much for everything. I can’t wait to see you guys at another wedding! “Platinum Band was absolutely perfect. They were amazing all throughout the setup phase, being very patient with our questions. Then when it was game time, the keyboardist played beautifully for the ceremony songs and through the cocktail hour, nailed our opening songs that myself and the new wife danced too, and then played a mix of a slow song and a fast motown oldie for the bride and fob to dance to. Everything went perfectly. There was no error on their part what so ever. The reception music had every single person dancing all night, and we’ve heard nothing but compliments since. I feel like we should have paid double what we did, because they were a bargain for how awesome they were! Every single member had their own unique thing about them so when the song came around for them to flaunt it, they crushed it. I can’t say enough about how they made our wedding that much more special. Thank you Platinum, especially Angelynn for setting it up perfectly, my man who sang Stand by Me for me and the Mrs., ..best version I’ve ever heard. Your vocals are insane. Everybody, really, thank you. One last shout out to lead guitar / vocalist for the last song. You’re a hero, and we will listen to wagon wheel every anniversary. “Platinum went above and beyond our highest expectations. Angel was great to work with prior to our wedding and once the day came we were blown away. Our guests are still raving about the band weeks later. They played the music we both liked, read the crowd perfectly with hit after hit, and had everyone dancing all night. Nailed every genre too whether it was a favorite Bruce song or Pitbull. I can’t say enough about how they helped make our special night the funnest night ever. “We booked Platinum Band for our wedding and could not have been happier. From what we saw of them on their website, we knew that they were going to be a good choice, but they far exceeded our already high expectations. They read the room perfectly and played songs to cover the various age groups of our guests. Everyone danced at our wedding. Every one of our guests has told us how great the band was and I know that some of them asked the band if they had any business cards. These guys are well worth the money! We used Platinum Band Music for our ceremony and they were amazing. Angel was SO easy so work with and helpful when it came to choosing music. They have such a wide range of offerings, and even learned music that we chose that wasn't in their portfolio. We absolutely loved our experience with them and I can't wait to get our video back to listen to it all!!! Wedding entertainment was HUGE to me when it came to planning our wedding. I felt it was one of the first things we needed to book and was really important that we got it right. We could not have made a better decision!! Platinum Band was incredible!! My husband's brother and several other close family friends, had them at their wedding and their guests were still talking about them years later. Every single person we spoke to after our wedding mentioned how incredible our band was. They had everyone on the dance floor and met the needs of all the ages. They did an excellent job feeling the crowd and the communication before the wedding was great. They were so personable. Definitely book them right away! We just got married on 6/29/17 and used Platinum band. They were very professional with planning all the details and Angel called to go over the final details a week before the wedding. Everyone from our wedding keeps talking about how AMAZING our band was. Five people from the wedding have taken their information to use this band at their events. They had everyone up and dancing the ENTIRE wedding. Even during dinner time one singer would be singing and their voice is just amazing !! I definitely recommend this band ! We can't thank you enough for helping to make our wedding celebration unforgettable! All of our friends and family are still talking about how amazing you were and how much fun they had. We knew you were good, but you blew us away! The wedding reception would have been so boring without you : ). We are so honored and grateful to have the memory you helped create. Thank you. Everyone was amazing; we're pretty sure the dance floor was always crowed, which we wanted. We know we pushed that second encore, but the memory of you singing Wagon Wheel, and all the other songs for that matter, will be cherished for years. You made our wedding fun and extra memorable. We will be talking you up for years and we hope we get to hire you again in the future. They are the best wedding band around. They absolutely made my wedding the best party my guests have every been to. From start to first the music was incredible and everyone was up dancing and having a blast. I think music was one of the most important part of a wedding and they are worth every penny. They were also the band at my older sisters wedding and guests were so excited to hear that they would be at my wedding as well because they are THAT GOOD! Thank you Platinum band for making my wedding night a blast my husband and I thank you! Platinum went above and beyond our highest expectations. Angel was great to work with prior to our wedding and once the day came we were blown away. Our guests are still raving about the band weeks later. They played the music we both liked, read the crowd perfectly with hit after hit, and had everyone dancing all night. Nailed every genre too whether it was a favorite Bruce song or Pitbull. I can't say enough about how they helped make our special night the funnest night ever. We booked Platinum Band for our wedding and could not have been happier. From what we saw of them on their website, we knew that they were going to be a good choice, but they far exceeded our already high expectations. They read the room perfectly and played songs to cover the various age groups of our guests. Everyone danced at our wedding. Every one of our guests has told us how great the band was and I know that some of them asked the band if they had any business cards. These guys are well worth the money! I had the 10 piece Platinum Soul Band at my wedding and was happy with them from the start. They played a showcase event for us to get a feel for them live, were very accommodating and organized - I didn't have to worry about them at all during my wedding planning process, and blew everyone away during our wedding. They were PHENOMENAL during our wedding - everyone is still raving about them from our wedding 5 months later. Fantastic singers, musicians, and entertainers. I had several people think that they played a CD for our entry song because they were so unbelieveable - and they had learned the song specifically for us! Thanks Angel & PBM, you guys were perfect! When I started wedding planning, I knew the one thing that I absolutely had to have to make my wedding an unforgettable experience - a great wedding band. I was even prepared to splurge for it. Luckily, Platinum Band Music was able to far exceed my expectations at an incredibly reasonable price. They truly blew everyone out of the water - we still have guests telling us how much fun our wedding was, and I attribute that in large part to Angel and the rest of the band who played an incredible show. Angel was particularly great about being flexible around our specific needs, and she was always on the same page as us about what kind of party we wanted to have. I have never seen so many people dancing instead of sitting down to eat their salad! By the time they ended the party on a rousing rendition of "Shout" our guests were ready to keep the party going into the early hours of the morning. From a diverse song selection to first-class sound, I would highly recommend Platinum Band Music to anyone! On a special aside - if you are a Bruce Springsteen fan, Platinum Band Music does phenomenal covers. It was almost like the Boss was in the house with us that night! ABSOLUTELY fantastic!!! We had the full band, and they were so exceptional. Our guests were truly blown away and we got dozens of compliments about them. Angel was so easy to work with and made the process seamless with easy forms and song lists to fill out. When we were still choosing our vendors, Platinum did a showcase for a few couples at a local music store, which really helped us decide which band we were going to go with. An added bonus to have a private showing! They played all of the songs we requested, and didn't deviate from the feel and genres we selected, as sometimes is the case with DJs or bands. Additionally, the classical guitarist for our ceremony was exceptional. He played whatever songs we requested for my walk down the aisle and our recessional (You Make My Dreams Come True, by Hall & Oats!!) and totally made it work. I can't say anything negative about Angel and the entire band! Can't wait for some of my friends weddings to be able to enjoy them again and again!! The Platinum Band absolutely made the wedding. They were unbelievable. All of our guests raved about them. They played the entire evening (with appropriate music during dinner). The song selection was awesome and our guests never left the floor. The horn section was terrific. The band played several Springsteen songs that were a huge hit (No Surrender was incredible!). was so easy to work with and really incorporated my daughter's suggestions and requests into the song list. Can't go wrong with this band. Wanted to thank you and the band for making the reception truly an evening to remember. You guys were UNBELIEVABLE!!!! We can?t even begin to count the number of guests who came up to us and raved about how good you were. From the sound to the song selection you were spot on. We kept wanting to sit down for a moment to take a break and another song would come on that we loved so we couldn?t!! The Platinum Band is awesome!! Thanks again. My girlfriend had used Angel and Platinum Band Music for her wedding a few years ago and my husband and I were totally impressed. When it was our turn to start the hunt for a wedding band, nothing really jumped out at us. We decided to contact Angel, thinking that they may be way out of our budget, but were pleasantly surprised at the price, considering the quality and range that they perform. Angel even met with us at the venue to get an idea of the space and make suggestions about what would work best since we were having the reception in a restaurant. We had a piano player and sax player for cocktail hour, a jazz duo for the dinner portion and their "Platinum Soul" 10 piece band after dinner. The performance was flawless! They performed everything from Frank Sinatra, Bon Jovi, to Mark Ronson "Uptown Funk." We received so many compliments during the reception and people are still talking about how amazing the band was. I simply cannot say enough about the band and Angel. She made thoughtful suggestions and figured out how to make our wedding vision come to life in a non-traditional venue. When my husband and I were planning our wedding, we put a great deal of emphasis on finding the perfect band. After all, all a successful wedding needs is good food, good drinks and, most importantly, great music. The Platinum Band exceeded our expectations. They can play any song and sound *honestly* just as good as the original artist. I remember a few times throughout our night thinking "is this a recording??" I promise you and your guests will have a fantastic evening if you hire the Platinum Band!!! Angelynn is a fantastic person to work with!! This band definitely knows how to get the party started!! I don't even know where to begin. Pete and I are still on a happiness high from Saturday and we truly have you to thank for this. The entire evening was sheer perfection and we still cant believe how talented you are. I also wanted to thank you for being such a pleasure to work with and for guiding me through this process. Pete, as you now know, is a big fan of live music and I really wanted all the musical aspects of the wedding to be great. You guys exceeded our expectations. So thank you for all your hard work and for showing our guests a phenomenal time!! My husband and I were absolutely thrilled with Platinum Band music. From the initial planning process to our big day, Angel was wonderful to work with every step of the way. She was friendly and professional, and always answered my emails and phone calls in a timely manner. She had a lot of great song suggestions, and she also made sure that they performed songs that were special to us. The band even helped my dad and brother to perform a song at our reception! Not only did they go above and beyond, they were a phenomenal band. They played songs that guests of all ages enjoyed, and the dance floor was packed the entire night. We had so many people tell us that out of all the weddings they have been to, Platinum was the best band that they have ever heard. We are so grateful to Angel and the rest of Platinum band for helping to create a night that we will never forget. What a wonderful band to have at my September wedding. Angel (band leader) was so helpful and great to work with in the months and weeks leading up the the event - from quick email replies to informative phone calls, she addressed all of my questions and put me at complete ease when it came to the wedding musical entertainment. The quality of this band is unparalleled. We received countless compliments during our wedding and after, as people could not believe the top-notch quality of the music. The singers are exceptional and the depth of the sound quality really makes this band a hit. People were on the dance floor all night. The song selection fit exactly the tone we requested for our wedding reception and Angel did a great job "reading the crowd" to put together a great playlist. We also had a piano player during our cocktail hour which was beautiful. What a professional, friendly, and true musical masterpiece of a band. Thank you Platinum Band!! Platinum Band Music was amazing! Angel is a pleasure to work with and on the day of the event, everyone kept telling us how great the band was and how the music was excellent. They know how to get the crowd dancing and their sound is incredible. We were beyond happy with them as our wedding band! The Platinum Band was amazing! Angel is super easy and great to work with, super accommodating. They learned new songs for my wedding and had people dancing literally from the first song of the night till the last song (and the crowd was begging for more!). I had one guest approach me exclaiming that the music was so great he couldn't make up his mind whether he'd rather be eating the food or on the dance floor! They played music that everyone enjoyed from the teenagers at the wedding to my grandmother and great aunt and uncle. The singer who sang the Bruce Springsteen songs was simply great. The R&B singers also knocked it out of the park. People who were never known to dance were up at it on the dance floor. If you can book them for your event you should definitely do so. You will not be disappointed. You may not remember us but the Platinum Band played at our wedding last year, May 17, 2013, at The Channel Club. It may be odd to get a note from us almost a year later. But after we got married, life got hectic and delayed some tasks I intended to do sooner. We think about our wedding day a lot and happy memories flood our minds. One of the key elements that jumps out every time is the Band. You guys were off the hook! Really Spectacular! Everyone raved about how wonderful you were. Still to this day, almost a year later, my family says "Kara, the band at your wedding was fabulous." We recently got the video and when we watched it, I cried over the delivery for the first dances and then I danced in my living room. We relived the magical memories that you helped create. The song selections were perfect, each musician in your band is so talented. And, it didn't go unnoticed that you made sure to play the few songs we requested to hear off your song list. For that we thank you. We thank you and each of the band members for being part of our wedding reception. It was truly wonderful! Thank you so much for everything you did to make our entertainment amazing. The band was unbelievably talented and made the atmosphere at our wedding fun and exciting. Everyone is still talking about the music. I was a very specific bride and had a lot of new ideas and was always making changes and Angel was always accommodating and up for the challenge. They were wonderful to work with and would definitely use them again in the future! Angel and the entire Platinum Band Music Company are AMAZING - They played our wedding this year at Crystal Springs and people can't stop complementing us on them. All 200 people were on the dance floor the entire night and we had to keep looking over as we thought a CD was paying (it was not - they are THAT GOOD!!!) Best Wedding Band EVER. I'm now trying to think of parties to host just to have them come back!! Thank you to all of Platinum Band Music for making our wedding so special!! Never fails, Platinum was amazing again. Our guests were on the dance floor and enjoying themselves the entire night. During and after the wedding our guests were coming up to us singing their praises for 'the best wedding band' they have heard. We chose the 11-piece Platinum Soul Band and they were worth every penny. The band was amazing and they had everyone was dancing all night. I had people coming up to me asking what a band like that costs thinking it was around $20k. haha not even close. Trust me, go hear them play and you will be amazed as well. They are reasonably priced too compared to a lot of the other bands we looked at. Since it was our wedding, we were pretty busy during the night so i did not get to hear as much as i would have liked from them. But hopefully they play at somebody elses wedding soon so i can truly enjoy them! I have a feeling some of the newly engaged that attended our wedding may be reaching out to them in the near future! Anyway, Angel who is the band leader is great as she answered any questions we had in a timely manner. Thanks again for a great night! The band was fantastic. Angel was open to any suggestions that myself or the bride or groom had. No question went unanswered and she replied immediately. The only thing I would change would be increasing the size of the dance floor because the band had everyone dancing the whole night. They were without a doubt the best band we have ever heard at any type of affair. Would highly recommend the band with no reservations. Unbelievably good! If you want a band that your guests will be talking about for years to come use Platinum Band! They are amazing. From the second we started working with them till the end of the wedding, they were amazing to work with. They made everything so easy and were simply amazing at the wedding. Our guests have been calling us and telling us it was the best band they have ever seen at a wedding. I would HIGHLY recommend this band. Angel is wonderful to work with and they really know how to get the party going! I can’t thank Angel and everyone at Platinum Band for making my wedding day one I will NEVER forget and making it go perfectly from start to finish. Thank you from the bottom of my heart! Platinum soul is truly an outstanding band! Every person at my wedding commented on how great they were. They played throughout the entire wedding, staggering their breaks so there was always music playing. Angel, who is one of the owners and who I communicated with, was a pleasure to work with and always responded immediately to any of my requests. She arranged for a harpist to play at our onsite wedding ceremony and a classical guitarist to play during the cocktail hour. Angel also made music/ song recommendations at my request. The entire band-musicians and singers are top quality professionals. Highly recommend. Thank you so much for making our wedding a hit! From the beginning you were all amazing and we couldn’t imagine anyone else playing on our big day. You are all truly talented and we feel blessed to have you at our wedding. We just wanted to tell you what a fantastic job you all did! Thank you for helping make our wedding so special. Everyone commented on how great you all were. You are so talented, and Ron and I definitely made a wise decision choosing Platinum Soul.Thank you again for a lovely night from the ceremony (harpist), cocktail hour(classical guitarist) and then reception. If I ever need a band, you will be the band I call. I will be referring you to everyone. Thank you so much to all of you for all you did to make our wedding so special and memorable! We just loved having you all play at our wedding and celebrate with us! You are wonderful! Hope to see you all again soon! Wow! You guys were beyond amazing, people are still taking about "the best wedding band EVER". So, if you ever need/want a testimonial I'd be happy to provide you with one. Thank you for doing such an amazing job at our wedding. Everyone would not stop raving about you! We are so lucky to have found you! Platinum Band was the highlight of our wedding! All of our guests are still talking about how amazing our band was! Platinum was very easy to work with and also took the time to learn some new songs for us for our wedding ceremony that were very special to our day! Words cannot express our gratitude and appreciation for everything that Platinum Band did to make our wedding day so incredible! I would highly recommend Platinum Band to anyone planning a wedding who is looking for a band that will make their wedding extra special and so memorable! Nathan and I just got back from our honeymoon, so I wanted to send you a quick email to express a huge thank you for Platinum Band's amazing performance at our wedding at the Olde Mill Inn on the 19th. We saw you a perform at a friend's wedding last year, so knew you all would be great, but we were blown away with how amazing you were. We got so many compliments about the band and had friends who have been to a lot of weddings tell us that you were the best wedding band they've ever seen. I wanted everyone to be on the dance floor all night and you absolutely made that happen. Thank you again and please share our appreciation with the rest of the band. HONESTLY, I dont know where to begin. The # of compliments we have received on the band's performance is more than my 2 hands can count without a doubt. The dancefloor was PACKED!!!! Aside from our guests, the bride and groom LOVED every second of their performance. They nailed all the requested songs beautifully- PERFECTLY! The lady singer who subbed for you was FANTASTIC and we received amazing compliments on her from other guests who sing on stages. Chad and I BOTH crowd surfed, along with both fathers and a brother of the bride! The song SOUL MAN is replayed over and over in my head - as I remember how much energy the room carried thanks to your band. It was unreal and an energy I never felt before in my entire life. The whole room was singing "Baby you'e a firework" which I actually cant stand that song, but that night-I LOVED it and LOVED everyone singing it so I couldnt be happier they chose to play it!! haha. Last but not least, Friends in Low Places and Piano Man were perfect endings. We can't say ENOUGH AMAZING things about the band on our wedding night. The energy was through the roof and moments of our wedding that are absolutely unforgettable. Please share this email with your band and thank them. We met your husband who was organized and very nice. BEST BAND EVER! Platinum band has the best price - cocktail hour included - best variety of singers and instruments, and best attitude of all the bands we looked into for our wedding. Angel was easy to coordinate with prior to the wedding for entrance music and preferred and not preferred songs. She even did a few songs for us that they originally listed as songs they did not regularly play. They were very accommodating and flexible and did a fabulous job of playing our requests plus feeling the crowd. The best thing about Platinum is that they played continuous music - they didn't stop - and we danced all night. At one point they had to reset something, an amp went out, and the sax player just improvised and played an awesome riff while they figured it out. People were even chanting "one more song" at the end of the night - it was a great time. Angel did shout outs for people's birthdays and anniversaries - we had a couple the night of our wedding - and worked well with our reception hall's policies and the schedule of events for the night. Some of our guests were so impressed, that a few of them booked Platinum for their own upcoming weddings. 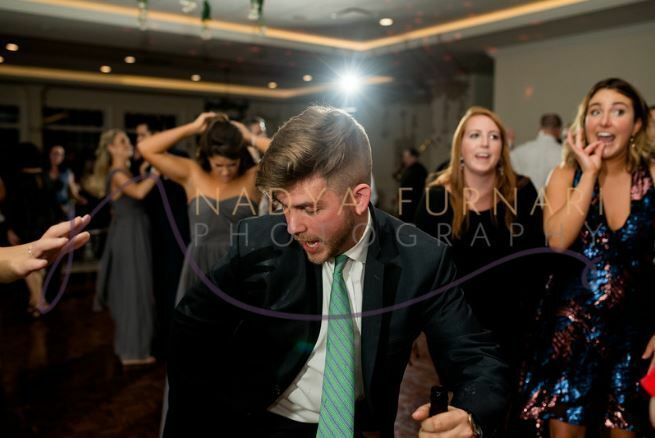 Platinum is professional, flexible, and the best wedding band in Northern NJ - I highly recommend them and can't wait to party with them again at our friends' weddings in the future! Will and I wanted to send a note thanking you and the band for the amazing job you did at our wedding back in September. All night, we had guests asking who you guys were or telling us how fantastic you guys were. Platinum Band literally made our wedding. It would not have been as fun if we had anyone else. Thank you so much for making our wedding a party. You guys are the best. Platinum was phenomenal. Great music was pretty high on the priority list throughout the planning, so when we booked Angel and her band, we knew we made the right choice. Don't just go by us though...nothing could compare to the reaction we got from our guests.... From a wife begging her husband to have them play at her next birthday party, to another guest holding his cell phone high so his brother could hear and book for his own wedding, a few comparing the band's performance to a live concert, and even being put in the running to play at a holiday party, these moments were true testimonials to how amazing Platinum Band really is. Our entire dance floor was packed all night. Even my 84 year old grandpa was up dancing with us. From young to old, Angel was able to constantly entertain and deliver. We couldn't thank them enough. Hands down amazing. And highly recommended. Many thanks for making our wedding so fabulous! You truly made our party and you are all that our guests keep talking about! Each member of the band was amazing and we are so glad that we went with the 10 piece! 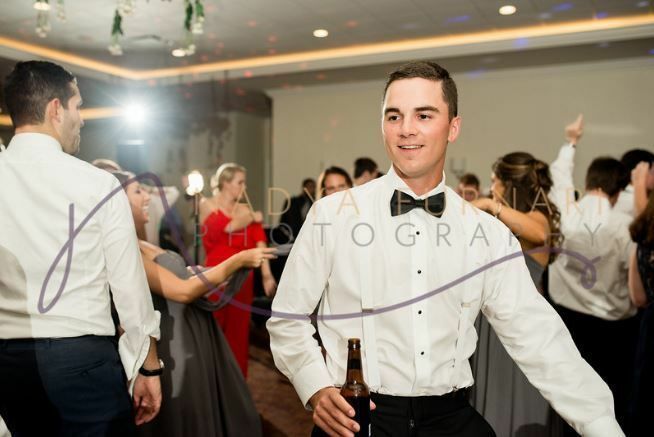 We greatly enjoyed the band when we saw you at 2 other weddings and we could not have imagined anything more…but you truly went above and beyond for our night. We can’t wait for our siblings and friends to get engaged and book you so we can see you again! Thanks again! John and I wanted to say thank you so much to you and the other members of the band for the unbelievable job on Saturday night. We have had so many people tell us how amazing the music was.....in fact there were people dancing who never dance at weddings. We can't say thank you enough for making our night so special! Derek and I just returned from our honeymoon to South Africa and Zambia, and I wanted to write and thank you for such a wonderful wedding experience! Your band was beyond awesome! As I said to you in the beginning of the night, the entree hadn't even been served yet and the whole crowd was on their feet dancing! My parents got so many compliments about Platinum Band being "one of the best wedding bands they have ever heard." We have musicians in our extended family who also sung your praises at the end of night. My parents were thrilled with the soft dinner music, the parent dances and first dance with Derek was perfection, and I loved that you ended with both "Livin' on a Prayer" AND "Shook me all night long." Your song choices were excellent! We will recommend you to anyone that we can! Thank you, thank you, thank you! Platinum Band is by far the most outstanding band that I have ever heard at a wedding! My guests were blown away by their music and everyone was on the dance floor the entire night. Every song was perfection and their energy was contagious. People are still calling and emailing me to say that it was the most fun wedding that they have ever experienced and i can say without a doubt, the band is what made it so spectacular. Five stars is hardly a high enough rating to give this group!! We cannot thank you enough! Almost three months down the road and we actually had a friend (who was NOT at the wedding) say ‘How was your wedding? I heard you had an awesome band!” The encore song “Shout” was one of our favorite parts of our whole day! To see the dance floor STILL packed at the end of the night and having such a blast with the most important people in our lives is something we will never forget. Thank you for being such a pleasure and help to work with. We wish you many more years of success and bringing joy through your gifts! You and your band are amazing!! Everyone loved the music and had a great time. It set the perfect mood for our wedding. We wanted to send you a quick note to thank you for the AMAZING job you and your band did for our wedding. Please pass our note along to the rest of the band. Pat and I are so happy with our choice, and you performed all our special request songs so well. Everyone has been saying that you guys made it such a fun night. Thank you for everything, we had such a blast! The girls were amazing (at the ceremony) and the music was beautiful. Thank you so much for making my wedding day! Wayne and I would like to thank you and all the members of the band that performed at Janine’s wedding. From the cocktail hour through dinner and til the last dance, your music was enjoyed by all. Our guests raved about your music and the staff stated that Platinum was one of the best to ever play at Holly Hedge Estate. You helped to make the wedding a party to remember! Angel, Hello, how are you? Sorry I didn't get a chance to say goodbye at the end of the wedding (9/3/10), I think you left before I got a chance. I feel like everything happened so fast and my reception felt like it went by in 10 minutes. I wanted to thank you for doing such a great job, everyone had a blast and I'm still hearing how great you guys were. Out friends and family were so impressed with you and when they first heard you sing, they thought it was a recording!! You and your band are really amazing at what you do, I'm so happy you were able to play at our wedding. This is a little late coming, but my husband and I want to thank you for playing at our July 18, 2009 wedding. Our family and friends still talk about the music. It made our night perfect! I’m sure all your brides and grooms say this, but please feel free to give our names to any future bride and groom. We cannot say enough great things about the band! Thank you for being part of an everlasting memory! Thank you so much for doing such an amazing job entertaining our wedding guests. Everyone (including us) could not stop dancing all night! We will be talking about what an amazing job you did for years to come. Thank you for making our wedding day all the more special. You were awesome! Matt and I just returned from our honeymoon. We had a great trip.. now it’s back to work (I want to go back to the beach and warm weather!) I wanted to let you know that you guys were ABSOLUTELY AMAZING!!! We could not have asked for a better band. Everyone to this day keeps talking about how great you guys were. Phenomenal… we are so happy to have had you for our wedding!!! If you ever need a referral, please give them my contact information. Thank you so much for your performance at our wedding. You were a big hit! Everyone there commented on how talented you all are. Not to mention, the moment you created for our last dance, was one of the most special of my life! Angel~ a special thank you to you for not running into the woods when I showed you our wedding location! I really appreciate you asking the right questions and trusting my vision and James’ scaffold! We wish you all the best! I hope you and the rest of the Platinum Band have had a very nice summer. David and I had a great summer, but it went too fast! We received our wedding DVD from our videographer last week and just wanted to let you know how great the band sounded! We knew you were awesome on the big day, but watching it all over again reminded us how truly wonderful it was! It was clear to see that everyone had a lot of fun on the dance floor - thanks of the fun music! So many guests commented on how great the band was! You were all very professional and easy to work with. We'll definitely recommend you to friends! We just wanted to thank you, again, for helping the evening flow smoothly and making our wedding so much fun - we had the BEST time! P.S. Thank you also for setting us up with the string trio and vocalist. I'm sending Liz an e-mail as well and I'll copy you on it! The words “thank you” don’t even begin to express how grateful and appreciative we are to have had you play at our wedding. You sounded amazing! Thank you for playing nearly every song we highlighted on your music list and many, many thanks for playing Footloose! It was great. You gave us exactly what we wanted – a huge party! Thank you! I’ve been meaning to write you sooner to thank you all for the amazing job you did oat our June 26th wedding. We’ve gotten so many compliments from our guests that you were the “best band” they had ever heard. I’m sure you’ll get some calls from people down the road looking to book you. You played a great variety of music that got people of all ages out on the dance floor and everything you played sounded fantastic. Our guests were especially impressed with all the Bruce songs – so many people thought it was a CD! Music is obviously so important for a wedding and we made the best decision in booking you. I’m so glad that I found Platinum Band and I want to thank you again for making our day so memorable. My only regret is that we didn’t get a chance to enjoy the music ourselves as much as I wanted since we were so busy talking to people! Thanks again for everything! Angel, Nancy and I just wanted to thank you and the band for your great performance Sat. 8/1. I told you guys you were the best band I ever heard and Sat. you outdid yourselves. I have been your #1 marketing director but now I'll have company. So many people came up to us during and after the reception to praise the music that we wanted you to know. We also don't want to leave out how good the strings were during the ceremony. You're the best. Thanks again! I just wanted to let you know that we received our wedding video from our videographer last week and were able to watch the entire ceremony. The music was even more beautiful than we remembered!! In the moment, I remembered thinking that it sounded so pretty, but watching it back on the video and listening to it made me (and my mom) tear up all over again! It was stunningly beautiful. You and the other musicians are truly talented! Hi, Angel! We are enjoying our honeymoon in Greece. It's beautiful here! We wanted to take a moment to thank you so much for being a part of our wedding. You were so professional and easy to work with and everyone had fun - the music was perfect! Many of our guests said you were the best wedding band they had ever heard. We are already recommending you to some of our friends who are getting married next year. The ceremony music was beautiful as well! We couldn't be happier with how it all turned out!! Thank you so much for rocking our wedding day. You guys were amazing. We could not have asked for a better band. You kept the dance floor filled from start to finish and our guests could not get enough of you. You guys were the talk of the night (besides us of course). Thank you for taking the time to learn the songs for our wedding and for making the whole process painless. We are really looking forward to dancing the night away to you guys again at our friend’s Kevin and Amy’s wedding on August 1st. You guys really helped to make our wedding a night to remember, and if you need any Meat Loaf singers for Paradise by the Dashboard Light, Janine and I are free. Thanks again for everything. You were absolutely unbelievable! From the moment we heard you online, we knew we had to book your band for our reception. You all are so talented and your playlist covers every song imaginable! Your team kept the evening on a natural flow and definitely brought all of our guests to the dance floor. Our guests are still commenting on the fun they had – and we owe it all to your band. Thank you for your talent, professionalism and ability to make magical memories! You are truly THE BEST! Thank you for providing such amazing music at our wedding! The dance floor was filled for the entire reception. Many of our guests referred to you as the best band they have ever heard! Thank you for helping to make our wedding day so special! Thank you so much for doing such an amazing job on all of the music at our wedding. Every special song we asked you to learn sounded absolutely fantastic. And, we can't even count how many people have called us to rave about your music (one person even called to ask if you have a CD!). You were the highlight of the reception and we can't thank you enough for making our wedding so wonderful. *If any potential client would like a glowing testimonial about your work - please send them our way! Thanks again for everything. "INCREDIBLE. Our guests were absolutely filled to the brim with compliments for Platinum! I think a few people forgot they were at a wedding at a Country Club because the music was just that good! I personally had to look on stage to check for an ipod the quality was so great and so close to original recordings. We loved the way Angel and the band interacted with our guests...Choosing Platinum was the best choice we made for our special day - thank you for making it so unforgettable for us. I'll have to have an anniversary party or something some day so I can hire you again!!" Hi! I don't know if you remember me, but Jared Sterbinsky and I had you play at our wedding last July (the 14th) at the Jericho National Golf Club in New Hope, PA. First of all I want to thank you immensely (thought it's a little late) for your amazing performance. I cannot tell you how many people have commented that it was the best band they have EVER heard at a wedding! I can't even keep track of all the people who have asked for your contacts and have recommended you to their friends and family for weddings. One of my favorite parts of the night was when you played the song "Better Than" by the John Butler Trio that you had learned just for our wedding-- it was so funny that one of your members liked them too! Not only that, but you played continuously throughout the reception without a break from all of the band members-- it really helped to keep the party going. I have never seen so many people dancing and singing at a wedding-- ever! Jared and I have been married for over a year now and still look back at picking your band to be one of the best decisions we ever made. We're even thinking of a 5 year anniversary party-- (obviously a bit down the road)-- but think it would be so much fun to get you guys to play for it! We still know of more people who are interested in booking you so I wanted to let you know that even a year later your name still comes up. One of my friend's sisters just inquired about you-- Dawn and Carl-- so be on the look out for a event requets from them. We hope all is well with you and can't thank you enough for such a wonderful job! Thank you so much for doing such a great job on Sunday. The guests were raving about the band and you made it such a fun night! My brother especially liked his chance to shine while singing Bruce!! You guys were great and I would recommend you to anyone having a wedding or party. In fact, there were a few girls there who may be getting married in the next few years so I will make sure they request the Platinum Band! I wanted to express my thanks and 'kudos' once again for the entertainment you provided at Cathy and Adam's wedding on saturday night. As usual, you guys were absolutely 100% fantastic. Everyone I spoke to commented on how terrific the band was . . . . many inquired about whether they could buy a CD . . . maybe you should go on the concert tour! Cathy and Adam also told me they were very happy with how you performed their song. Again, an excellent job by "Platinum" . . . . you really made the reception go wonderfully. As you know, no matter what happens at these functions, the only things the guests truly remember is the food and the entertainment . . . I think the guests at Cathy and Adam's reception will remember the great entertainment for a long time! . . .thanks and I hope you and family continue to be well and successful . . . . .
Janine and I want to thank you and the rest of the amazing musicians that make up Platinum for the great job that you guys did at our wedding. Words cannot describe how much you meant to the overwhelming success of our wedding. You guys definitely did a great job getting everyone on the dance floor. We have gotten tons of compliments from friends and family that attended our wedding saying how great the band was, and asking where I found you. My sister even said that when she gets engaged, she would want to use your band for her wedding. Janine and I are were on the dance floor as much as time would allow that night and we had a blast. Thank you for everything and please pass this message along to the rest of the members of the band. We really appreciate all of your hard work. We certainly will recommend your band to anyone that we know who is planning a wedding. YOU GUYS WERE AWESOME!!!!!!!!!!!!!!!!!!!!!!!!!!!!!!!! Everyone raved about you and I partied like a rock star. I can't even walk today! The ceremony music was exactly what we wanted as well. We can't thank you enough for making our wedding the best day of our lives!!!!! Please thank all your band members for us. I hope they had as much fun as we did (although that would be tough) and please feel free to use us as a reference. We look forward to singing you praises to future brides and grooms!!! Thanks again. I think to say that we enjoyed the wedding and the music is a huge understatement. We and everyone else I talk to had such a BLAST!!!! The music was absolutely unquestionably PERFECT, FABULOUS, AND WE LOVED LOVED LOVED the set list you put together for us! I truly cannot thank you and your band enough for being such a crucial and awesome part of our wedding. I kid you not-I have gotten SO MANY COMPLIMENTS on your professional and "rockin'" music that everyone was able to dance the night away to and have a really amazing time! In fact ironically enough, my mother in law just called me for your phone number because some lady who came to our wedding (her daughter is getting married) heard you guys play and want your band to play at her daughter's wedding! There are no words to express just how thrilled Steve and I were during our wedding to get up and boogy down ourselves and most importantly see all of our guests dancing all night long. It was exactly how I had envisioned everything (and Steve was SO HAPPY with all of the "Bruce" and "rock" music) and looking back we are so proud that we chose your band as a "perfect fit" for our wedding celebration. Our two wedding songs were ("Should I Fall Behind" & "You and Me") were so well performed it sounded like we were listening to a real recording on the radio-even better! It is without reservation that Steve and I would HIGHLY RECOMMEND your band for ANYBODY'S WEDDING day. You truly made everything so special for us and to that we cannot thank you enough. And "Angelo" the Italian singer was FANTASTIC! My in-laws and family members from Italy were so pleased by all of the Italian songs he played. My father in law was very impressed how everything ran so smoothly while Angelo played in between your sets. Whenever you go to a wedding everyone asks "How was the music? "....The music plays such a giant role to "making" or "breaking" a wedding...All we have to say is that your band's enthusiasm and great music TOTALLY MADE OUR WEDDING RECEPTION A NIGHT TO REMEMBER! So thank you again.....there are no words to express just how happy you made us (and everyone else!) Steve and I will spread the word of how awesome you all are-and besides more than half of our friends aren't married yet, so chances are they will hunt you down in the future! THANK YOU AGAINfor EVERYTHING!!!!! YOU GUYS ROCK!!!!! There are no words to thank you for the wonderful time we had at the wedding thanks to you and the rest of the band...i still get phone calls from family and friends that cannot stop talking about you guys...they said it was the best band ever and they had a merorable time. Thanks again for everything! 0ur band Platinum was absolutely AMAZING! They are based out of NJ, but do weddings on LI. They were great to deal with from start to finish and did an exceptional job at the wedding. Everyone is still raving about them! I just wanted to tell you how amazing you guys were on sunday. We got compliments all day and still are getting them... all of our guests were so pleased with the different types of music you played. I will be giving your information to everyone! Thank you so much for making our day so great! Dear Angel & the Platinum Band, Oh My God...people are still talking about how wonderful you guys are. We have been to 5 weddings since and NO ONE compares to you. People said that you sounded like the "real" singers and that they weren't sure if the room was small or you got everyone dancing. Obviously the latter! You were the best part of our wedding and we will surely recommend you! Thank you! We are writing to say thank you for making our wedding the best day of our lives! We had so much fun and we received so many compliments throughout the reception! You guys are truly professional entertainers- the dance floor was packed ALL night long! We had about 130 guests at our wedding and pretty much all of them complimented us on our choice of bands. You guys really knew how to connect with us- you played all of our favorite songs and everything was done with energy and class. We were excited to return from our honeymoon to hear that one of our family friends had booked you guys for an upcoming wedding. We would like to wish you the best of luck in the future and we will without hesitation recommend you to anyone and everyone we know who is having a function! Thanks again for being a part of our special day! You guys rock! yes!!!!! our wedding was amazing. erin made a comment to me the day after; she asked me if the dance floor was small or was everyone dancing all night long. it was obvious to me that mostly everyone was dancing all night long. the music you guys played was awesome and we are so thankful for your band. I just wanted to take a moment to thank you and the band for everything for my wedding on Saturday, May 26th. The music was GREAT!!! We could not have had a better time. We received so many compliments on how great you guys sounded. Both Sharon and I were very impressed. Thank you again for all of your hard work. P.S. - Four of my friends that were at the wedding are getting married in the coming year/year and a half. I have a feeling some of them may be contacting you. I just wanted to send you a note and give you a huge thanks for making our wedding such a success. You and the band were terrific! I can not tell you how many complements we have received from our family and friends. The group had such a wide range of vocals which allowed for a great variety of songs. Our Van Morrison wedding song sounded especially unbelievable. Thanks again for making our wedding a big hit. I just wanted to say thank you for helping make my daughter’s wedding the huge success it was. Our guests really enjoyed your music and vocals. I apologize for not knowing the singers names, but wanted them to know how much we appreciated their beautiful voices, their diversity of style and their classiness. Several guests commented about the strolling singer and how well he performed. Thanks again to each member of the band for making a truly magical evening. You are really a class act!! I just wanted to drop a quick note to tell you how thrilled we were with the band's performance during our wedding. We heard nothing but rave reviews from guests of all ages. Thank you so much!!! You guys will get a proper thank you card from us once we return from our honeymoon, but I just wanted to say THANK YOU SOOOOOOOOOO MUCH! You guys did a truly magnificent job and everyone kept telling me how great the band was. I couldn't even eat my dinner because I was having too much fun dancing. Also, thank you guys so much for letting our friend Frank join you for a song, it was not only great for him, but incredible for us, and the rest of the party was just stunned. IT truly was a night I'll never forget. We just wanted to thank you for doing a fantastic job at our wedding on June 25th. Everyone from 5 to 90 years old danced and had a great time, and no one was in their seats for very long at all. So many people have gone out of their way to compliment you since our wedding too. If you ever need a reference, Jeff and I would be more than happy to tell anyone about how happy we were with everything. We were also very happy with the music for our ceremony. We really did not have any idea what to do for the ceremony music, and I appreciated your insight! The strings and keyboard were a great combination, and Deirdre was excellent. She was very helpful, and she has an amazing voice too. We could not have been any happier with our wedding music! PS: I just found out that 2 of my friends booked you for their upcoming wedding in June 2006 (Nick and Lauren). Thank you so much for providing five star entertainment during our special day. Our guests still tell us how wonderful the music at our wedding was. The songs were appropriate and enjoyable. Chris and I cannot begin to thank you all so much for making our wedding SPECTACULAR!!! All of you guys were awesome! Even now, almost two months later, people are still saying what a great band!!! We definitely will recommend you to anyone in need of a band! It was so great to see you all! Hopefully we will see you guys soon!!! I can't tell you how much we appreciate you all playing at our wedding. You guys were phenomenal!! Everyone has been commenting on how great the band was at the wedding. We can't thank you enough for making our wedding night so wonderful!! If you all are ever in Chicago, give us a call!!! Thanks so much for a great night on August 4th - everyone had a blast and loved your music. Thank you so much for performing at our wedding. We just knew you guys were the ones the first time we saw you at a bridal show. We've heard such good things about you as well. We can't wait to see our guest's reactions (most are from MN). I'm sure you'll wow them! Thank you so very much for helping us celebrate our wedding!! Thank you so much! Everyone just loved the band. People who never usually get up, got up and danced! Thanks for letting Tommy get up there also. He's doesn't get nervous at all signing on stage, but at the ceremony I thought he was going to pass out!!!! I am happy to recommend you to anyone!